Short, but informative Reviews of Songs from Therapy?, Whale Fall, Sir Cadian Rhythm, and Artur U & The New City Limits. Long-running, Irish, noise-rock band Therapy? continues to shape and elevate its musical legacy with its latest offering, album number 14, Disquiet. Since the band’s beginnings in 1989, original members Andy Cairns (vocalist/songwriter/guitarist) and Michael McKeegan (bassist/vocalist) haven’t shied away from shining a light on the dark and tortuous inner workings of the human psyche. Over the years they’ve welded all sorts of musical genres to their rock and roll foundation – be it metal, punk, industrial, pop, and even some symphonic strings action. On Disquiet, Therapy? sonically and thematically revisits Troublegum, its landmark album from 1994. Disquiet displays that, some 20 years later, while certain things have changed, much has stayed the same for the disturbed, disillusioned protagonist at the center of the album. It shows how of the scars of abuse endured during childhood don’t necessarily completely heal by adulthood. Andy, Michael, and Neil Cooper (drums) frame that protagonist’s rage in the instrumentally battering, lyrically unsettling pop-rock number “Still Hurts”. The song races along at a breakneck pace from the get-go with a galvanizing beat and thick stabs of distorted guitar jags. Andy shouts out in tormented frustration amid the turmoil “Each year / it gets worse / it won’t stop / still hurts!” The lyrics are short, sharp, and a shock - a powerful message that is also effectively delivered by the song’s accompanying video. The fusion of the melodious pop-rock structure with searingly bleak lyrics, Andy’s tersely tense vocals, an energetically bludgeoned drum beat, and brief, hurtling bursts of guitar riffage creates a memorable number that’s hard to shake off quickly or easily. The Los Angeles-based, post-rock instrumental quintet Whale Fall released its sophomore album, The Madrean, at the end of last year and its eight epic in length and theme soundscapes are reflections of the North American landmass, the Madrean, which spans the southwest U.S. and northwest Mexico. The area is home to both cities and wilderness and the band members have all lived within this stark, arid region. The band captures the grandeur and mystery of the Madrean through a stylistically cinematic lens of traditional rock instrumentation and trumpet, piano, saxophone, and cello. The core band is comprised of Ali Vazin on guitar, Dave Pomeranz on six-string guitar, Erik Tokle on bass guitar, J-Matt Greenberg on keyboards and trumpet, and Aaron Farinelli on drums and percussion. Guest instrumentalists Joseph Santa Maria (saxophone) and Artyom Manukyan (cello) were invited to add even more depth and diversity to Whale Fall’s sound. 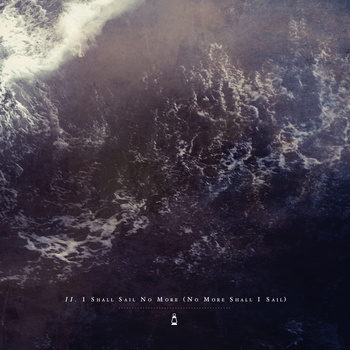 As an interesting aside, the band’s name refers to the biological process that occurs after a whale’s demise; its decaying carcass becomes a hospitable environment for other marine life to flourish. 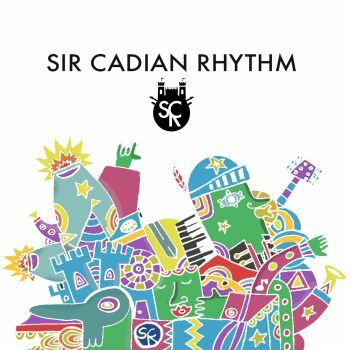 Sir Cadian Rhythm is a Long Island, New York-located, alt-rock/jazz/pop five-piece and the band members, who all have backgrounds in the performing arts, recently released their debut five-song EP. Jack Weppler (vocals), Alex Laudani (guitar), Richard Cluxton (bass), Keith Miller (drums), and Matthew Carlin (keyboards) formed the band in March 2014 and their EP was recorded, mixed, and mastered by Nick Zinnanti of Zin Records. The resulting tunes are vibrant and definitely rhythmic, but too often the stew of instruments is kept on a high boil, not allowing for any respite from the loud sonic crowding (although the retro, stomping “Holly’s On Fire” is a keeper). The EP is a strident clash of Red Hot Chili Peppers, Dave Matthews Band, and Maroon 5 (especially for Jack’s vocal phrasing), and if that’s a draw to listeners, great, but it was a daunting run-through for these ears. 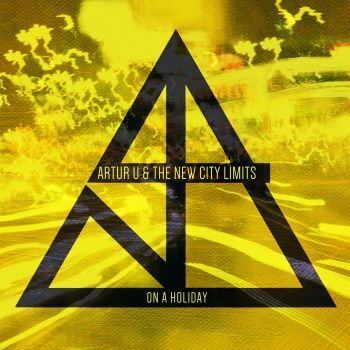 Led by Artur U (vocals and steel guitar) and rounded out by Johanna Saarinen (vocals and percussion), Tuomas Orasmaa (keyboards), Miika Suomalainen (bass), and Toni Mäntylä (drums), these Helsinki, Finland natives have released their debut10-song, alt-rock/pop platter titled Holiday From Eternity. In an unexpected international music connection, the album was mixed in New Jersey at Orange Music Sound Studio and features male and female vocal harmonies, introspective (but at times indiscernible) lyrics, and a dynamic rock ‘n’ roll sound. Lead single “On A Holiday” is a prime example of this mix, and while it’s propelled all the way through by an engaging, toe-tapping beat and a enjoyably smooth and light, occasional keyboard refrain, the rest of the sonic components aren’t particularly memorable. The song style is a muted fusion of blues-rock and pop, with Artur and Johanna mirroring each other’s vocal lines. Dual vocals are a nice touch, but it’s difficult to hear their lyrics clearly, leading to a muddled blend of phrases like “got time to burn”, “bury my head deep in the ground” (maybe?! ), and “trying to reach out”. The thematic gist of the song is lost, at least to these ears… There’s that up-tempo beat and keyboards, topped off with bashed cymbals, bass-driven line, and some distorted guitar squeals and noodling, but none of it stands out that much from the rest.